How many boxes of cereal would an average wheat field make? We know a bit about wheat at Sacrewell. We know that in a one square metre field, you can plant 250 wheat seeds, which will grow and produce 1 kilogram of wheat grain. So that was our starting point. Then we went to find out about some cereal. The nice people at Weetabix told us that they use 365 grains of wheat to produce just one Weetabix biscuit. Their biscuits come in a variety of box sizes, but we sell the small, 24 biscuit pack in the campers section of our shop, so we’re going to concentrate on that one. If you prefer cornflakes to Weetabix, you might be interested to know that they are made from maize (aka sweetcorn) rather than wheat (aka corn). We haven’t done the calculations for a field of sweetcorn, but we did find this great episode of Food Unwrapped which shows how the sweetcorn is made into cornflakes in a factory. Then it was time to do some maths. 12 hectares = 12 000 square metres. 1 square metre produces 1kg of wheat grain, so 12 000 square metres produce 12 000 kg of wheat grain. So we get 300 000 000 grains of wheat from an average field, and it takes 365 grains to make each Weetabix biscuit. There are 24 biscuits in a small box. 821 918 ÷ 24 = 34 246 boxes. We’ve made quite a lot of estimates and assumptions in our calculations. 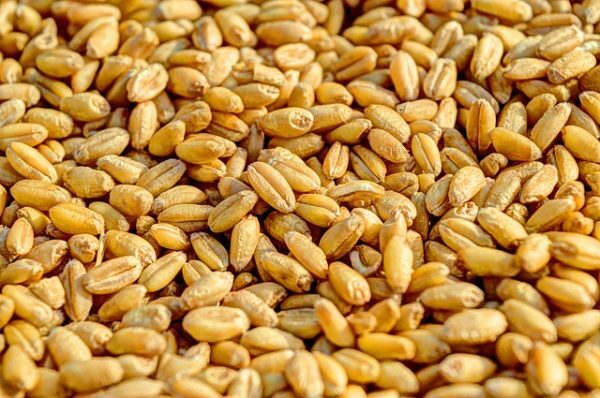 The weight of an individual wheat grain can vary depending on the variety and how well it grows. The yield of grain from a field can vary depending on the weather and soil conditions that it was grown in. The size of an actual field can vary hugely. But we’re happy to say that an average wheat field would make approximately 34 thousand small boxes of Weetabix cereal. That’s more than enough for me to have two in my breakfast bowl every day for the next 46 years!